It’s harvest season for growers right now and this is a very exciting time of the year indeed. It also means that there’s an abundance of cannabis leaves left behind for us to play with. 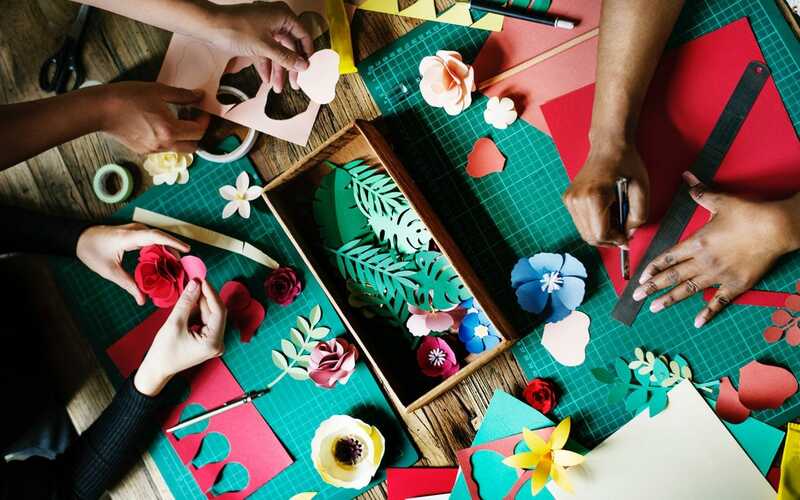 To celebrate this auspicious occasion, we have a couple of suggestions on interesting and fun arts and craft projects that you can make using cannabis leaves. Enjoy! This gorgeous clay bowl is not only easy to make but it’s highly customizable so you can really go wild with the design. Use the dental floss to cut through the air-dry clay, taking a sizeable chunk out of it. Knead the clay and use the rolling pin to transform it into a ½ inch thick flat patty. Make sure to pat the clay with the wet sponge while you’re working it to prevent it from getting dry. Now, get a huge cannabis leaf and roll it into the clay, making sure to position it so that the large part of the leaf is at the bottom of the bowl while the “tentacles” of the leaf are pointed towards the top of the bowl. Slowly and meticulously remove the leaf from the clay and use the knife to accentuate the pattern that’s left behind. Put your new clay bowl on top of a similarly shaped bowl and leave it for 72 hours so that it can dry. Now comes the fun part! Once the bowl is completely dry, you can go wild with different decorations that will accentuate its beauty. After you’re done playing with the color and definition, you can then seal the bowl with either a glossy or matte sealer depending on your preferences. Create your own unique throw pillows and add pizazz to your living room furniture. Take the newspaper and put it on the inside of the pillowcase so that the paint doesn’t stain the fabric underneath while you’re creating your masterpiece. Take the cannabis leaf and place it onto your work surface, which should be covered by another newspaper to avoid the paint getting onto the surface and staining your table. Slather a generous amount of paint onto the leaf using the paintbrush and then put the leaf onto the pillow, making sure that the painted side is facing the part of the pillow where you want the print to be situated. Once again, get some clean newspaper and press it onto the leaf to make sure that it leaves a clear leaf impression on the pillowcase. Peel the leaf off from the pillowcase and let it dry before you take out the newspaper inside. Previous PostPrevious Could Coca-Cola Be Preparing a Cannabis-Infused Drink?